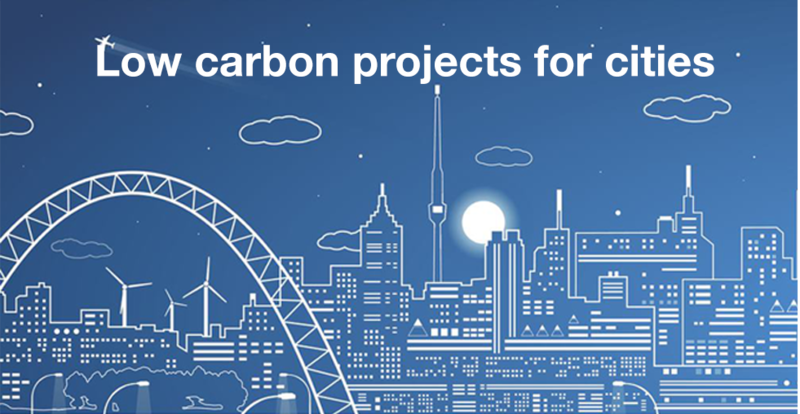 Climate change and the unprecedented growth of cities, especially in emerging economies and developing countries, require increased investments in sustainable infrastructure projects that reduce greenhouse gas (GHG) emissions. Yet, cities face significant barriers to prepare bankable projects, secure finance and implement such projects. To address these challenges: FELICITY, ICLEI, GIBand SIF teamed up to close the gap in financing the low carbon projects of the cities. FELICITY expressed its interest to pilot the utilization of SOURCE platform by Mexican cities in order to standardize the protocol for infrastructure project development and facilitate the coordination and monitoring of on-going projects. To achieve the mentioned objective, it was agreed by FELICITY and SIF to carry out a capacity building program on the application and use of the platform. The program was divided into two phases: a first phase conducted through online webinars, and a second phase to take place in Mexico, with in-person trainings and train-the-trainer sessions. The ultimate objective of the program is to facilitate a sustainable and systematic adoption of the platform by municipalities to develop their infrastructure projects. As part of the first phase, a series of online webinars were conducted by SIF and attended by more than 20 municipalities. These online sessions provided a detailed description of the platform and its main functionalities in a practical manner, using case studies in energy efficiency, waste water management and solid waste management, to give the participants a good understanding of the platform and its benefits. The sessions were held across three days (one day per sector) during the month of August. As part of the second phase, SIF will conduct extensive on-site training to two municipalities: Mexico City and Naucalpan City, for them to gain full command of the platform, and train a selection of municipality staff to become SOURCE trainers, able to provide further technical assistance within their organization and to other municipalities. Following the webinars and the onsite training, SIF will remain available for online follow-up support to all users of SOURCE. The training in Mexico serves as a pilot for the collaboration of FELICITY and SIF, it will be evaluated and lessons learnt will be shared in order to pave the way for further integration of SOURCE in Brazilian municipalities in the short term, and among others cities across the globe in the medium term.